O2 Pure Oxygen improves wellbeing, giving energy and drive. It’s invigorating and adds vitality, improving concentration. It helps you to feel better equipped to get through a stressful day. 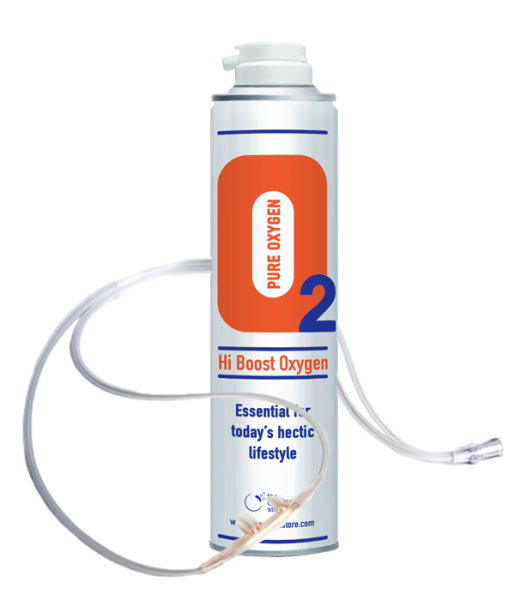 O2 Oxygen cans are filled with 99.5% pure oxygen and 8 - 10 breaths are sufficient to feel noticeably better, quickly. How often can O2 be used? Depending on the requirement e.g. 8-10 times, several times a day. Anyone who feels run down and experiences loss of energy and concentration or is tired, can benefit. After 8 - 10 inhalations of oxygen enriched air improvement and wellbeing can be felt. If required, the exercise can be repeated after 10 minutes. 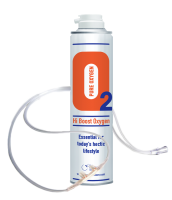 O2 is Pure Breathing Grade oxygen filled in a can with a purity of >99.5%. O2 is Oxygen compressed into light weight cans, without propellant. What does the oxygen do? Clinical trials have shown that the oxygen content of the blood is raised on average by 15 - 20% after 10 breath intakes. Inhalation can support an increase in vitality. With regular breathing at a flow of 3.5 litres per minute the oxygen is sufficient for approx. 2 minutes.